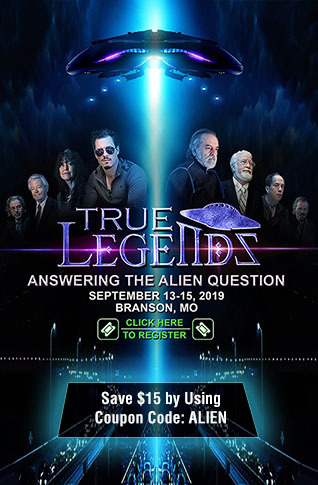 - Will The TRUE History Of Planet Earth Soon Be Revealed? The July 3rd story over at Yahoo which the Drudge Report had linked to on Tuesday was simply titled "Post-Apocalypse Now: The End Of The World At The Movies" within which they reported a glut of dystopian end-of-the-world fiction movies are coming to theaters and video-on-demand over the next couple of months. With 'end-of-the-world' disaster movies called by Shawn Robbins of BoxOffice.com a genre of 'escapism', an art form that assuages the primal desire to get back to basics, it's long been warned that Hollywood uses TV shows and movies to eerily foreshadow future events and for 'predictive programming'. And with this glut of end-of-the-world disaster movies coming out at the same time that our planet is being rocked by volcanic eruptions and bizarre weather events such as blood red rain recently falling in Russia and 'freaking the Russians out', prompting warnings of a Biblical plague event, one might ask if those producing these movies know more than they're letting on. Such as, the TRUE history of 'Planet Earth', which has seen catastropic events such as those causing Noah's flood and creating lost civilizations such as Atlantis throughout our planet's history. First, from the Yahoo story. .
"These types of films are often viewed as pessimistic glimpses into the future, which is certainly one valid interpretation, but they can also be self-reflective in a positive way," he told AFP. 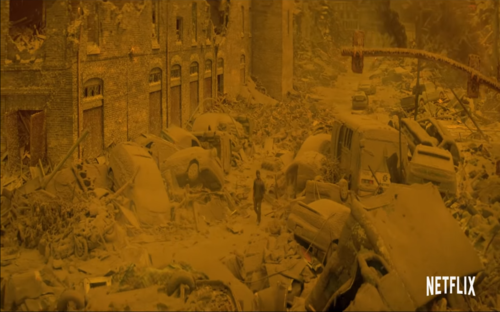 "It's easy to see post-apocalyptic and dystopian film settings as part of our inevitable doom, but we can also take them as lessons and parables because, at the heart of any good story, the human condition is explored and challenged." 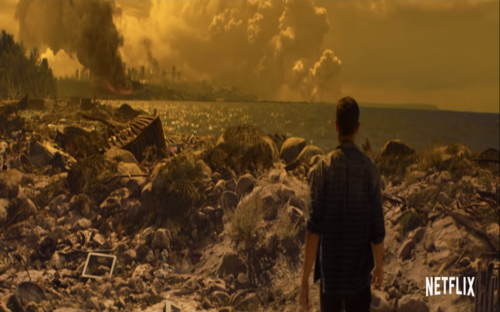 And while the Yahoo story doesn't mention a new end-of-the-world disaster movie coming out on Netflix on July 13th called "How It Ends", the trailer of the movie that we've embedded at the bottom of this story sums up almost every reason why we 'prepare'. Featuring a massive tectonic event that appears to begin off of the coast of Seattle, Washington which leads to a nationwide electric grid down scenario, a near total communications blackout, massive traffic jams in the cities, the complete breakdown of society, numerous bizarre and unexplained weather events and strange animal and bird behavior, the script for the movie encompasses much of what we write about almost every day on ANP. Back in May of 2016 we published a story on ANP which reported on FEMA's preparation for a massive earthquake and the resulting tsunami that would devastate much of the Northwest Coast. With the Cascadia Subduction Zone spanning more than 600 miles and running from Northern California to Southern Canada about 70 to 100 miles off of the coastline in the Pacific Ocean, experts have warned that a massive quake in that region could also end up crippling our electrical grid nationwide due to a series of cascading failures. And as the New Yorker reported back in July of 2015, the 'really big one' is going to strike the Cascadia Subduction Zone sooner or later and according to experts quoted in their story, "If the entire zone gives way at once, an event that seismologists call a full-margin rupture, the magnitude will be somewhere between 8.7 and 9.2. That’s the very big one." Also warning that such a quake could happen with almost no notice at all, we see in the movie trailer the man talking to his wife who is in Seattle as if everything is normal when suddenly and without warning, the phone call is cut just after his wife tells him that something suddently turned very, very wrong. Art mimicking life? And while some such movies coming to us from Hollywood are predictive programming, those who prepare can use such a fictional scenario to improve own own preparation for the kinds of events we pray never come. Showing us an America breaking down into all-out lawlessness and madness, "How It Ends" is also a race against time and a present-day America suddenly cast into something out of our greatest nightmares. 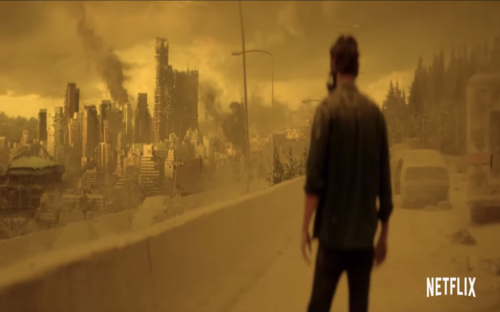 So why are Hollywood and 'the elite' now putting out so many 'end-of-the-world' movies? Whatever motivation they may have, we can absolutely learn something from most dystopian movies. With such disastrous movies showing many scenarios that we may have never thought of, each time we watch such a movie we chock it up as another learning experience and hope that we're somehow able to grow from it. Movies have been on our mind lately here at CDC’s Office of Public Health Preparedness and Response. Especially disaster movies. They come in all kinds of flavors: deadly viruses, tornadoes, earthquakes, and, yes, even snakes on a plane. Their special effects can be realistic enough to make us feel like we are right there in the heart of the storm. But frequently, the heroes and heroines of these movies respond to disasters in ways that bear no resemblance to what people in the real world should do. 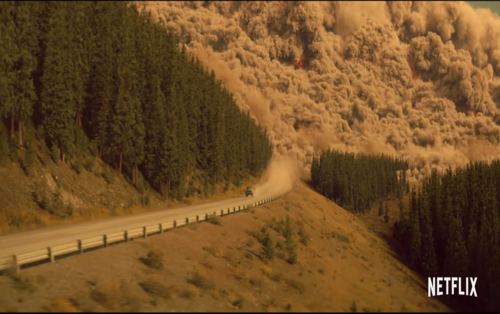 We can nevertheless use disaster films to consider how the characters could have been more prepared or how they should have reacted if the situation they faced was real. And with our planet facing natural and 'man-created events' all the time and it looking more and more like trouble has arrived with 133 attacks upon President Trump supporters and more coming every day, we'd all be wise to prepare as if the end of 'civil society' is coming, stocking up and preparing for catastrophe now while we still can. And should sanity and true civility one day return to America, our preparations for civil unrest now will still pay dividends in the years ahead once the next hurricane strikes or blizzard hits or the economy goes under. We open up the comment section to any prepping tips that you might have. Your words of wisdom could save someone's life.